Saints Rest, a musical drama co-written and directed by Noga Ashkenazi ’09, premiered at the 20th RiverRun International Film Festival in North Carolina in April. Kane Dulaney Balser ’13 released a new album, Tor, on April 3, 2018. It can be heard on kanedulaney.bandcamp.com. 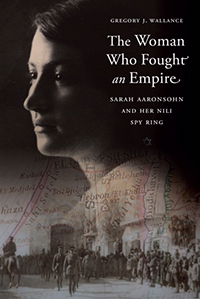 In The Woman Who Fought an Empire: Sarah Aaronsohn and Her Nili Spy Ring (Potomac Books/University of Nebraska Press, 2018), Gregory J. Wallance ’70 tells the true story of a bold young woman, the daughter of Romanian-born Jewish settlers in Palestine, who became the daring leader of a Middle East spy ring during World War I. Operating behind enemy lines, Aaronsohn and her spies furnished vital information to British Intelligence in Cairo about the Turkish military forces until she was caught and tortured by the Turks in the fall of 1917. The book rebukes the Hollywood stereotype of women spies as femme fatales and is at once an espionage thriller and a Joan of Arc tale. 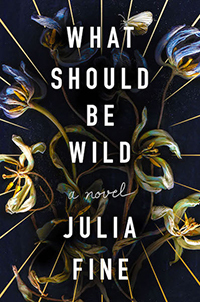 Julia Fine ’10 credits the education she received as double major in psychology and English at Grinnell College for helping her finish What Should Be Wild (Harper Collins, 2018), her debut novel. In this modern fairy tale, Maisie Cothay was born with the power to kill or resurrect at her slightest touch and has spent her childhood sequestered in her family’s manor at the edge of a mysterious forest. Maisie’s father, an anthropologist who sees her as more experiment than daughter, has warned Maisie not to venture into the woods. But one day Maisie’s father disappears, and Maisie must venture beyond the walls of her carefully constructed life to find him. 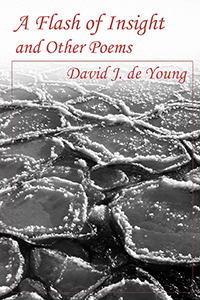 A Flash of Insight and Other Poems (Nordic Moon Press, 2017) by David de Young ’86 is his first collection of poetry. 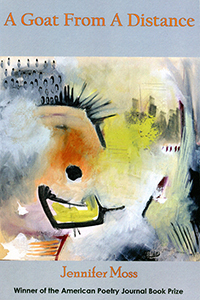 Jennifer Moss ’89 won the American Poetry Journal Book Prize for her book of poems, A Goat from a Distance (Dream Horse Press, 2017). 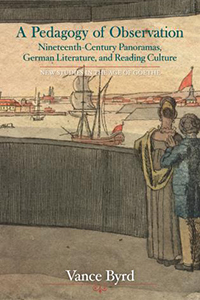 Vance Byrd, associate professor of German, authored A Pedagogy of Observation: Nineteenth-Century Panoramas, German Literature, and Reading Culture (2017), part of Bucknell University Press’s New Studies in the Age of Goethe series. The book identifies how the German bourgeois intelligentsia created literature as panoramic stages both for self-representation and as a venue for critiquing modern life. These written panoramas, so to speak, helped German readers see before their eyes industrial transformations, urban development, scientific exploration, and new possibilities for social interactions. Trevor Jones ’94 edited Active Collections with Elizabeth Wood and Rainey Tisdale. Active Collections critically examines existing approaches to museum collections and explores practical yet radical ways that museums can better manage their collections to actively advance their missions. 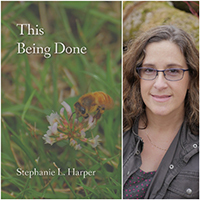 The essays look to insights from fields as diverse as forest management, library science, and the psychology of compulsive hoarding to inform and innovate collection practices (Routledge, 2018). 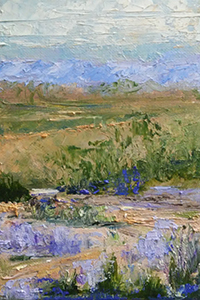 Susan Coop Street ’64 was featured artist at the Benicia Plein Air Gallery, Benicia, Calif., in January 2018. Her oil paintings of the desert near Cochiti Lake, N.M., were inspired by a trip to visit friends. The rains had come and showed her a desert with vistas of purples, reds, and yellows. The paintings reflect her joy of discovery, the feeling of being slightly out of her comfort zone (painting the desert, working from photos), and how this native Californian came full circle in appreciating the desert.